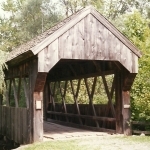 The Americana Village Covered Bridge is the only covered bridge still standing in Madison County and is maintained by the owner and carries pedestrian traffic across a pond outlet. In the early 1960s, the property, including a pond and several acres surrounding it, was purchased by the American Management Association who then constructed an executive training and conference center on the property. In addition, it was decided to include a historic, early American village in the grand design. This village included a general store, church, blacksmith shop, tavern, band stand and a few other old buildings that were moved to the property from the surrounding area. 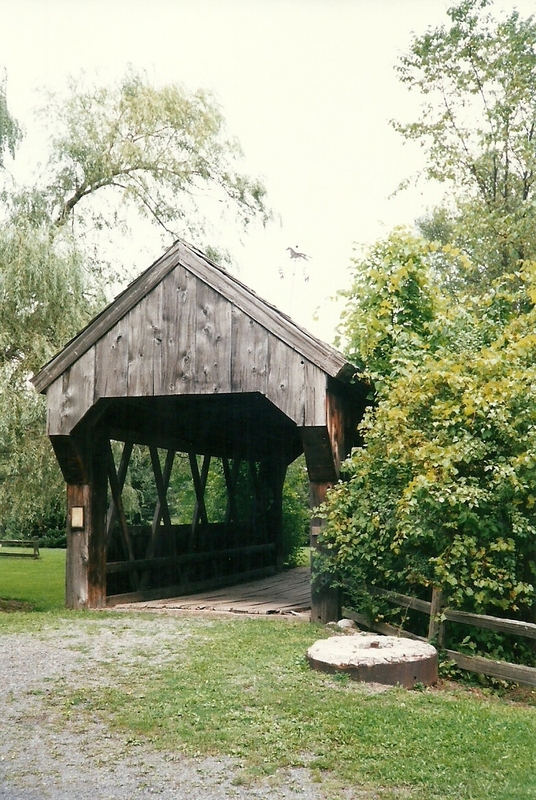 As with many early American villages, it included a covered bridge. The property has now been sold and is privately owned. 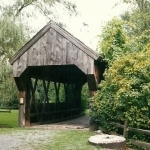 Although the village is not opened to the public, you can still visit the covered bridge and photograph the historic buildings. 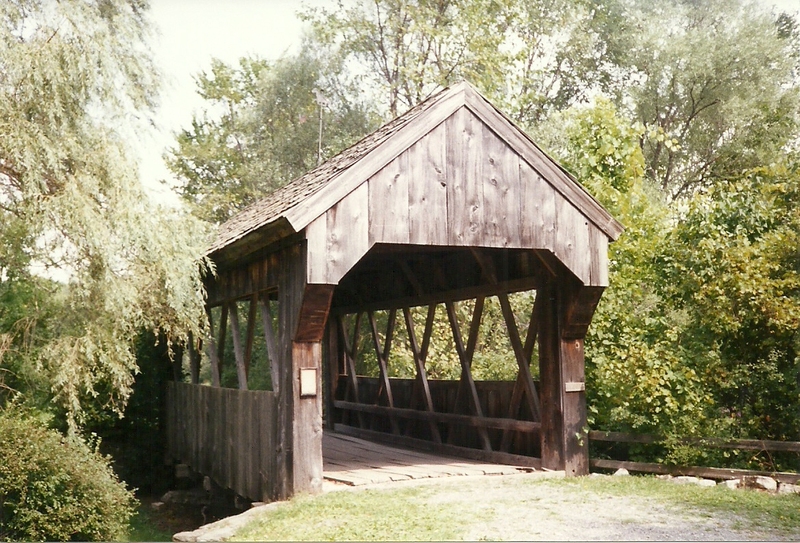 Other than the actual statistics, there is not a lot of history to share on the Americana Village Covered Bridge since it was built in 1968, but it is well worth a trip to visit it.